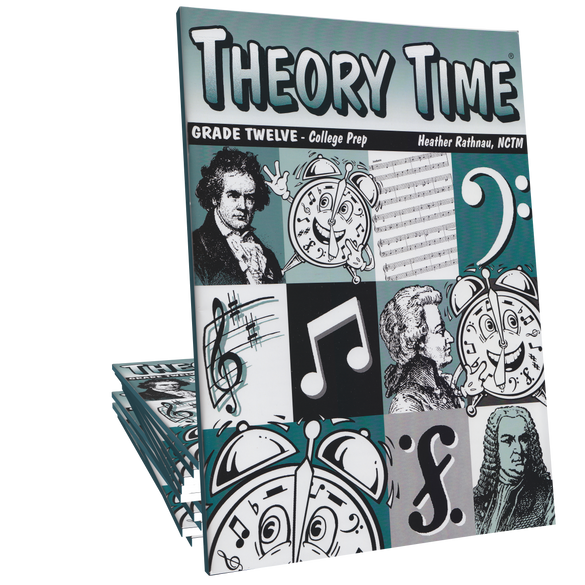 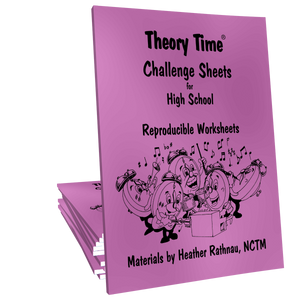 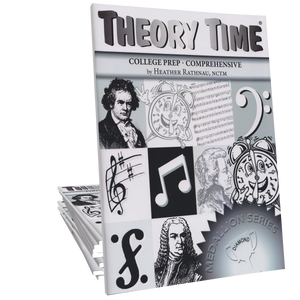 Theory Time Grade Twelve workbook is an advanced/college-prep comprehensive theory workbook. 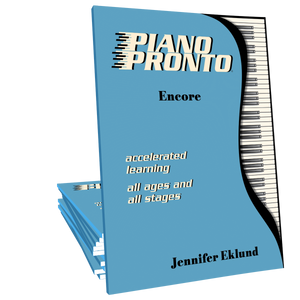 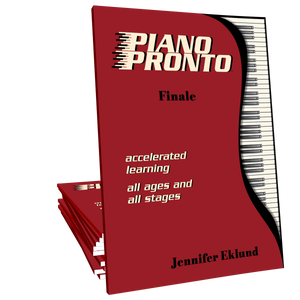 Concepts include: Intervals (simple & compound), major, minor, diminished & augmented intervals, triads, & inversions, scale degree names, 4-part writing with inversions using figured bass, voice leading rules, seventh chords & inversions, V7 resolution, primary & secondary chords, doubling rules, monophonic, polyphonic & homophonic music, Alberti bass, other musical forms, Sonata-Allegro form & analysis of 8 sonatinas, rhythm drill, modes, twelve-tone row, vocabulary, ear-training, and review test. 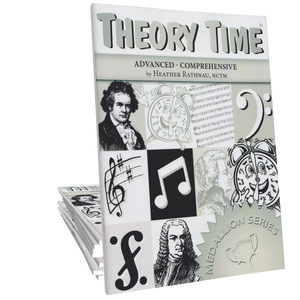 Concepts covered: Intervals (simple & compound), major, minor, diminished & augmented intervals, triads, & inversions, scale degree names, 4-part writing with inversions using figured bass, voice leading rules, seventh chords & inversions, V7 resolution, primary & secondary chords, doubling rules, monophonic, polyphonic & homophonic music, Alberti bass, other musical forms, Sonata-Allegro form & analysis of 8 sonatinas, rhythm drill, modes, twelve-tone row, vocabulary, ear-training, review test.